This entry was posted in Japan, Kyoto, Photography, Stephen Kelly Photography, Travel, Weekly Photo Challenge and tagged Inside, Japan, Kennin-Ji Temple, Kyoto, Photography, Stephen Kelly Photography, Weekly Photo Challenge. Bookmark the permalink. Hi jo … wow indeed! hi alexandra … and thanks or stopping by. you turn a corner from a walkway into a dark room and there it is … i wasn’t prepared for impressive it was. it’s really awe-inspiring. Hi Indra … thanks for dropping by! Hi Stephen. Love those prints in the ancient temple and Kyoto has always been on the list for my mum and I. Simply stunning. Well hello Girl In A Food Frenzy … nice to hear from you again! You owe it to yourself (and your mum) to see Kyoto …really, really amazing. I can’t wait to go back! hi restlessjo! yah, it’s really, really impressive. and the room is lit perfectly, which only adds to the scene! very cool! Pingback: Weekly Photo Challenge: Inside (Ireland: Clifden) | What's (in) the picture? Pingback: Inside the glass | The Bohemian Rock Star's "Untitled Project"
I loved that ceiling when I visited. 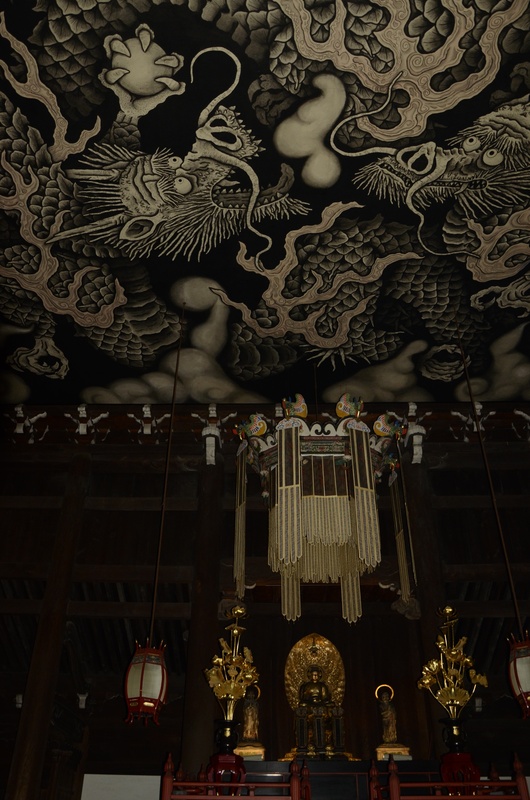 The other parts of Kennin-ji had some interesting works as well. Hi there, Lady Caladium, and thanks for visiting. Kennin-ji is one of my favorite place in Kyoto. This mural is just a small part of it. Hi Patti … it’s pretty stunning up close and personal. when you first see it, you’re not really prepared for it. it takes a few seconds to realize how big it is. 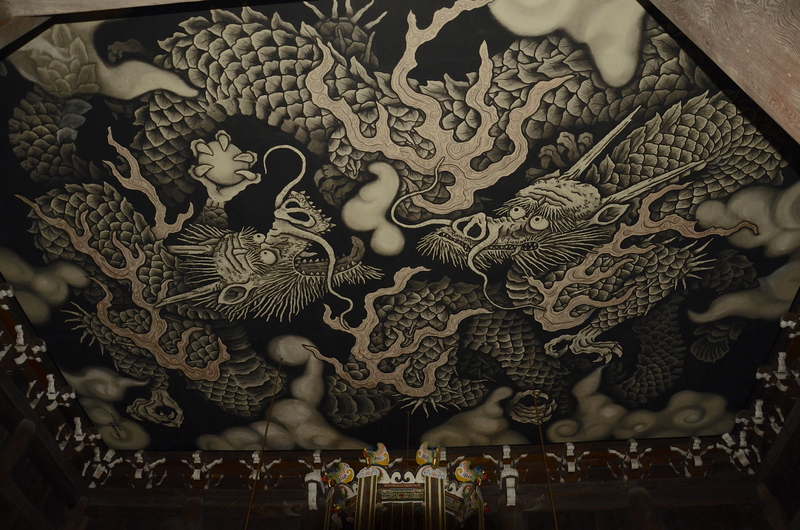 You know, when you think of all the magnificent Asian art with dragons in it, you begin to believe there must surely have been dragons on earth once. Not to downgrade the fine abilities of the artists’ imaginations, I’m just sayin’…. Hi Victoria … who says there wasn’t? hey there crazyguyinthailand (cool name) … thanks for dropping by my blog! Nicely taken, Stephen! How old is it? Hi Paula .. 800 years old! and thanks for alerting me that fact. i changed the text of that post to reflect its actual age … I like being factual!